How did you get involved in the organisation of the mindfulness conference in Toronto? Elli: I am on the advisory council for the Mindfulness Society Conference, which is committed to hosting a conference focused on mindfulness at the University of Toronto once a year for ten years. This is the second year. I was not part of the original advisory council for the first year of the conference, but I did attend it. A lot of people on the council are mentors and friends in Toronto who work in the field of mindfulness. The aspiration for the conference is to build community and offer knowledge translation to support individuals who are integrating mindfulness into their sectors. The conference has a specific focus on the sectors of education, healthcare, and law. This year, in addition to being on the advisory council, I supported the conference as the Community and Partner Liaison. I was also very involved with crafting the conference agenda. It was interesting to reflect on how to practice mindfulness in a conference setting where people also want a lot of information. 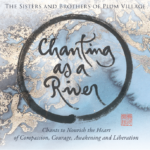 Our aspiration was to balance that with the practice and community building. What inspired you to invite Erica and Julian to the conference? Elli: During the conference last year, they had some breakout sessions where participants could pick a topic to do a more hands-on workshop. In their feedback from the first year, conference organisers got a lot of input that people wanted more insight about how to apply mindfulness into their daily lives. Conferences, especially in academic settings, tend to skew towards neuroscience and breathing techniques. Diving into the research is fantastic, but the attendees shared that there was not enough balance with practice. Even though people are at a mindfulness conference, many of them have never experienced Sangha or been to retreats. 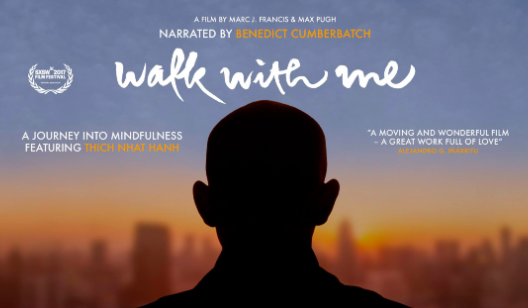 I was sitting with the director of the conference, Michael Apollo, in a coffee shop talking about walking meditation and suggested that we could invite some members of the Wake Up community to do one of the breakout sessions focused on Wake Up and how to bring mindfulness into our daily lives from the perspective of young people. Everyone got really excited about this idea, so I reached out to Erica and Julian. Erica, what inspired you to co-facilitate this breakout session? Erica: I initially liked the idea that the session was going to be a collaborative effort by Wake Up representatives from three different cities in North America. I am grateful that Elli invited us to share in the process of shaping the session, and to contribute our own areas of interest and expertise. The component I was able to provide was a case study from my own work, combining mindfulness practice with oral history interviewing. In the session, I spoke a little bit about what it means to bring mindfulness into your workspace, and how to use deep listening as a form of community building. What I really enjoyed from our presentation was that Julian started with a beautiful deep relaxation to get everyone grounded in the space. Elli provided a comprehensive overview of Wake Up and shared ways to concretely apply the practice—including even a raisin meditation! In the wrap up, I honed the scope of the presentation to a case study and talked about the Wake Up Oral History Project. What aspect of the oral history project did you present in the breakout session to help attendees apply mindfulness in their daily lives? 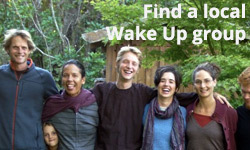 Erica: I shared information about the project, which began last summer to bring Wake Up members from across the world together to share about how they practice mindfulness in their daily lives and communities. The initiative recently received funding from the Pollination Project to develop a website of resources and archive of stories. Elli is an ambassador to the program and was instrumental in helping me think through the practical applications of the project in larger contexts. The way I talked about the Wake Up Oral History Project in our breakout session was to encourage attendees to cultivate organic spaces for colleagues and neighbors to engage in open dialogue, like it is practiced in Dharma Sharing. We also spoke about how to be compassionate and bring awareness to the conversations we all share with the people on a daily basis, out in the city, and in our workspaces. While organising the breakout session, did you experience any changes? Or what have you learned about leading the workshop or organising the conference? 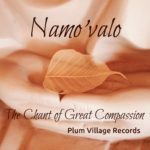 Elli: What was really special about this session was that all of us have a long history of practice with the Plum Village community, as well as master’s degrees. So we are familiar with both the practice and academic environments. All of us share an interest in showing how to apply mindfulness to people’s lives and in diverse spaces. It was a fun and challenging opportunity for all of us to come together and present in an academic environment, in the context of a conference, about a practice that is very personal for us. And it was a wonderful opportunity to spend time together; Erica is currently in New York, Julian in Boston, and me in Toronto. This reminded us of what Wake Up is—our international spiritual family! Organizing a breakout session for a conference could easily come with stress and pressure, but for us, it was a harmonious journey of listening to one another and finding out what each one of us wanted to share. So the process of planning was also a mindfulness practice. We actually did not finalize the presentation until the night before. We all knew what we wanted to do, but we were very gentle with ourselves. Then, we came together for about thirty minutes to create this awesome slideshow. At the end of the conference, we sent out surveys to participants and asked them which workshops they attended. Our presentation had the most attendance and definitely struck a chord with people. Ranking the workshops on a scale of 1 to 5, the majority shared that our breakout session was extremely helpful. To hear such a positive response from a group of people who are working professionals was very encouraging. Erica: I heard from a few different attendees that the joy and togetherness that the local Wake Uppers brought to the space inspired them a lot. It was like Wake Up Toronto took over the room! It was wonderful to have an intergenerational dialogue, with young people so visibly present at the conference in addition to established professionals and mindfulness visionaries. Elli did a great job facilitating that convergence of perspectives, as well as a generative discussion. 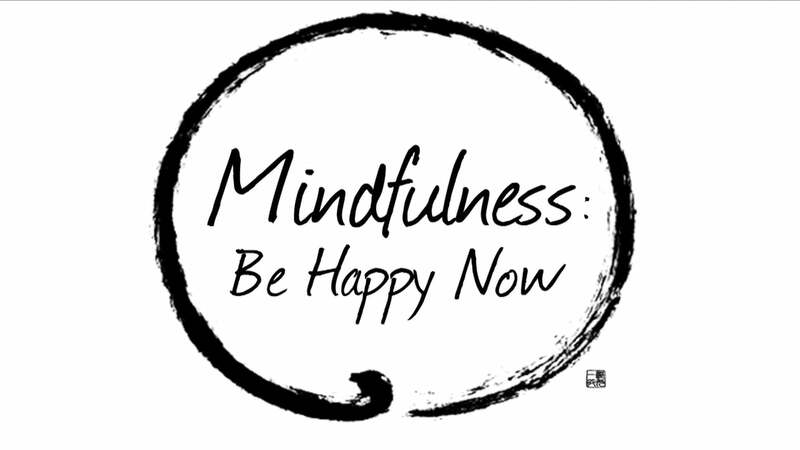 What’s your vision of bringing mindfulness into schools with the Pollination Project? Any tips for Wake Uppers who want to teach in universities or high school? Elli: The Pollination Project is a charity based out of San Francisco Bay Area. It was started by someone who wanted to fund grassroots projects. It gives $1,000 grant every day of the year. They are actively looking for applications. There is no limitation on where in the world your project is based, so I encourage all Wake Uppers to check out this funding opportunity! Their website is https://thepollinationproject.org. They have a very clear application process. The Pollination Project also has some rules in that the money has to go into a community project. The funding can’t be used to pay someone’s salary or support travel to a conference. But if you have a community project that you are passionate about—which I can imagine that a lot of Wake Uppers do—the Pollination Project is a fantastic place to apply. I am happy to support anyone who is part of Wake Up, as I did for Erica. Erica: I initially heard about the Pollination Project in 2013, when Elli was in New York during the Plum Village North American Tour. It’s been on my mind for all that time [laughing]; Elli planted some beautiful seeds. I think that the opportunity to come together at the conference and be renewed by such diverse manifestations of the practice really helped encourage me to finally submit an application to the Pollination Project. For the Wake Up Oral History Project, this additional funding will help international Wake Up voices reach broader audiences via our website: www.wakeuporalhistoryproject.org. We would like the interviews to become a helpful resource for young people, encouraging them to feel supported and open hearted. I hope more Millennials will become aware of our beloved communities of practice and be inspired by how young people from such an eclectic tapestry of cultures bring mindfulness into their daily lives—counteracting unskillful trends in modern society and finding the time to slow down, to stop, to breathe, to reflect, to connect. I am also hoping that this will be the impetus to bring the project to the next level and to get more people involved in the conversations we’re just beginning as young practitioners and exploring how enduring traditions can apply to new contexts. I am really excited to see what is going to happen over the next year with the support of this grant. I definitely encourage other Wake Uppers to look into their hearts and see what their passion projects are and to explore what funding may be available for them out there. In terms of bringing mindfulness into my personal life: I have worked in a competitive university environment and been affiliated with a single department for nearly four years. What I find is that in both stimulating and challenging spaces, having a mindfulness practice is important because none of us are necessarily immune to the tensions, difficulties, and doubts that arise in day-to-day life. Yet, we also need a steady foundation to cultivate reminders of the beauty and joy in each moment. I feel as though mindfulness is a path of such strength. People often associate peace and nonviolence with the notion that it must be a passive form of thought. But I believe that is one of the strongest ways you can approach life, as it encourages you to look deeply—to meet each challenge with understanding and solidity—rather than being swept away by external forces and fleeting emotions. I am grateful to be on this path and be part of the Wake Up community. Any tips for someone interested in integrating mindfulness into their studies or work? Elli: I am grateful that we are at a moment in time where the world is interested in well-being. We can see this reflected in the UK Mindfulness All-Party Parliamentary Group that was published last October and in corporations like Google, who are developing their own mindfulness programs. I am starting a PhD in the Institute of Medical Sciences at the University of Toronto this fall looking at mindfulness and health care, which is only possible because of this collective cultural interest in mindfulness. Just have fearlessness in your practice and know that the doors are opening. Reach out to Wake Uppers who have done stuff to get support, and just go out there and do it!